With over 40 wineries dotting the map here in Southern California’s wine country (and more on the radar), Temecula Valley welcomes more than two million visitors a year. Not bad for a region that planted its very first grapevine in 1968. There’s a reason they come, and it’s not just for the wineries alone. Conveniently located 60 minutes from San Diego, Palm Springs, and Orange County—and a 90-minute ride from Los Angeles—Temecula has become a perfect weekend getaway for Southern Californians. Temecula’s wine region continues to produce award-winning premium wines in a climate ideal for growing grapes. Grape-to-glass wineries range from boutique to large-production operations. And they produce everything from outstanding reds to fruity dessert wines, luscious whites, and refreshing sparkling wines. 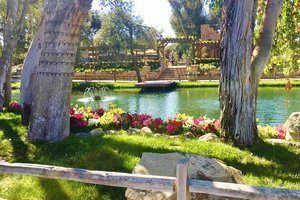 Located in the heart of wine country, Vitagliano Vineyards and Winery not only produces incredible wines, it’s one of the most stunningly beautiful properties in Temecula Wine Country. Its 10-plus acres of picturesque rolling hills are covered with grapevines producing some of the finest Super Tuscan Varietals around. And there’s nothing like wine-tasting overlooking a bucolic sparkling fountain lake surrounded by lush trees and magnificent flower gardens. It’s no wonder Vitagliano’s Lake Oak Meadows is a highly popular wedding venue. It’s simply magnificent. “The Sky’s the Limit,” is the catchphrase of Akash Winery. Getting a sneak peek at a new winery opening later this year was a ton of fun. Judging from the wines we tasted, it’s going to be another Temecula success story. Lunchtime was one surprising treat thanks to two gourmet food trucks located on Vitagliano property. Devilicious’ motto, “Food so good it’s bad,” couldn’t be more perfect. It’s no wonder Devilicious was featured in The Great Food Truck Race. 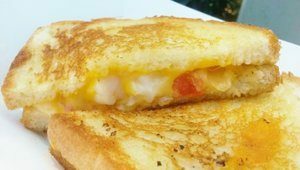 Their Lobster Grilled Cheese was downright delectable with butter poached lobster tail meat, melted jack and cheddar cheeses, caramelized onion, and Roma tomatoes on artisan sourdough. Custom ice cream sandwiches are the specialty of The Baked Bear food truck. Original-recipe fresh-baked cookies, brownies, or donuts are filled with your choice of 13 craft ice creams and a multitude of toppings. They’re colorful, delightful, and incredibly delicious. Southern California loves its craft brews. 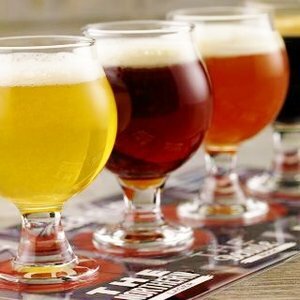 And Temecula now sports 13 breweries. Refuge Brewery specializes in Belgian Style Ales, and visitors can imbibe and get front row seats to observe the actual brewing process. At any given time, there are 20 different beers on tap, many aged in whiskey and wine barrels. Refuge often uses its patrons as measuring sticks for its new beer offerings before they go to large-scale production. So, you not only get to taste, you get to vote. Wine and beer aren’t the only shows in town. Speakeasies are making a huge comeback. Temecula’s Thompson and Twain Prospecting Company, located in rustic, historic Old Town is a trip back in time. This “secret” hideaway is accessed through a hidden door at the back of Crush & Brew Restaurant. The bar specializes in craft cocktails with throwback names like Deadringer and Longrider. Bartenders are entertaining and more than happy to make special order cocktails as well. Reservations are required at this fascinating venue. Apparition Room, another Old Town speakeasy, can be found via a discretely disguised passage to a fascinating hideaway serving innovative spirits and libations. The bar is furnished with Prohibition-era décor, bartenders dress in period attire, and the atmosphere is lively and fun. Even for those not into gambling, a stay at Pechanga Resort Casino is one amazingly winning experience. Recently undergoing a $300 million expansion, Pechanga sports comfortable luxury accommodations. A splashy new pool complex called The Cove opened this spring. 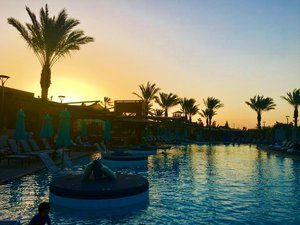 This impressive 4.5-acre complex features four pools, three hot tubs, a family lagoon with a sloping beach entry, swim-up bar, cabanas, two waterslides, and an outdoor eatery. And the surrounding mountain views here are nothing short of spectacular. Spa Pechanga, a 25,000-square-foot luxurious sanctuary offers a myriad of amenities like steam rooms, saunas, and whirlpools in addition to its spa rituals and body treatments. Twenty restaurants and bars are located throughout the property. Lobby Bar & Grill is one of these. This sustainable California bistro uses ingredients from the Temecula Valley to create its innovative dishes like the not-to-be-missed stuffed oxtail bone marrow toast with crispy Brussels sprouts. They say that Temecula attracted the passionate dreamers and driven entrepreneurs to its lands. For those of us who visit, we are happy recipients of its incredible wineries, libations, spectacular scenic views, and savory cuisine. And each time we return, there are more surprises in store. No one comes to Temecula just once.